It will support the Colonoscope, Endoscope and Beamer Surgical Mate at the Ambulatory Care Unit. 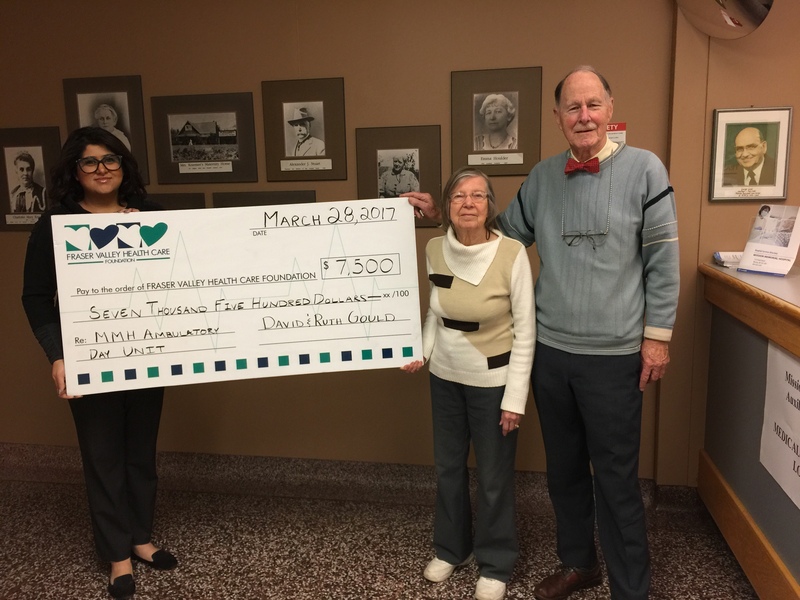 The Fraser Valley Health Care Foundation received a donation of $7,500 from Ruth and David Gould last week. The Goulds donation will support the Colonoscope, Endoscope and Beamer Surgical Mate at the Mission Memorial Hospital’s Ambulatory Care Unit.